Streamline both your data collection and secure storage with our employee database management system. Tracking employee data and records has never been easier. To manage absence, and make sure it won’t affect their regular line of work. Cybernetics Payroll System is Integrated with Biometric / Smartcard attendance system with the intention to make seamless integration and automation possible for time attendance and payroll system. employees for services they provided during a certain period of time. TouchQ Payroll management Software is a complete HR Solution.Integrated with biometric punching devices.Automated salary calculation. 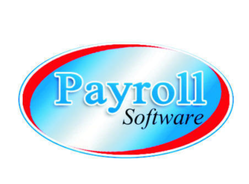 Payroll Management System is a web-based application developed using ASP.NET for front-end design, C#.NET for coding, and SQL Server 2000 for back-end database. This system maintains employee information and records including salary reports, leave reports, time sheet management, and work sheet records, providing a transparent, clear, and user-friendly administration. Salarium the payroll processing software from PeopleScope has been designed as per current Payroll Processing conventions in India and is flexible enough to take care of changes that could be brought into effect in the near future. 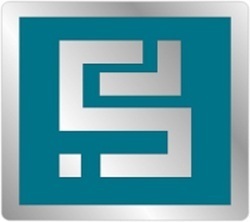 Developed using the latest technology, salarium is universally accessible.This allows immense end user convenience. We are effectively providing our patrons with an extensively applauded range of Payroll Management System for numerous commercial places. These services are highly demanded in the industry. Resume Builder: Users can build resumes, if online enabled thecandidates can directly post thier resume forspecific recruitment of the company. Payroll System which enables a complete payroll using a BIOMETRIC SYSTEM. - Icondice is leader in delivering powerful, secure, easy to use, and very flexible human resource and payroll management system solutions. We offer wide variety of hr and pay roll system at affordable rates to meet your organization’s changing business needs. We can even able to cater the needs of your daily operations.